The #vBrownBag is a podcast started by Cody Bunch that offers informal and community-focused study groups for professionals in the IT / virtualisation / cloud space. In 2012, Gregg Robertson founded an EMEA edition, timed to be more accessible to a European audience and aimed to draw from the pool of high-quality professionals here to provide presenters. I joined Gregg, along with Frank Buechsel, to share podcast hosting duties in 2013. 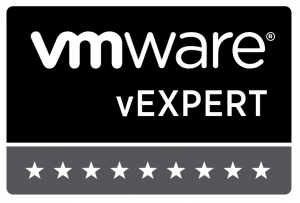 Since that time we have run a number of specific certification-focused series (such as vCP-NV and VCP6-CMA) along with a number of standalone sessions to live audiences and podcast subscribers alike. The EMEA #vBrownBag usually runs on a Tuesday evening at 7pm GMT and registration is free – just follow this link to the main #vBrownBag website. We’re also open to suggestions and requests for new sessions. After all, it’s a community driven podcast. Just fill in this form. © 2019 @mpoore. All rights reserved.